Education and training are the keys to unlocking endless opportunities. Skills and knowledge are the foundations upon which we all build our careers, our families and communities, our confidence and even our identities. And yet, millions of young people around the world are denied access to even the most basic schooling or skills training. Build It has pioneered a simple and highly effective model in Zambia which is enabling hundreds of unemployed young people to learn essential building skills, whilst building vital schools and clinics for thousands of children. Our approach was developed where it matters the most – at the grassroots! We believe that our approach enables us to have a genuinely sustainable impact on the lives of young people, their families and their communities. Construction of community buildings including primary and secondary schools, health clinics and a training centre, bringing essential services to some of Zambia’s most disadvantaged communities. We build latrines at all our projects to improve the health and well-being of children and encourage more girls to remain in school. At projects without clean water, we drill a borehole and install a water pump. The Zambian Government has demonstrated its commitment to provide qualified teachers and clinical staff where we have built classrooms and health facilities. We know that there is paid work for those who complete our certified, training programme. We continue to test and refine our approach. Every year we fund an independent impact study that looks at our work and how well our trainees are doing in the world of work. It provides strong evidence of the difference we are making in people’s lives, and helps us to see what we can do better. Fridah was one of our trainees who helped to build Chitukuko Community School. 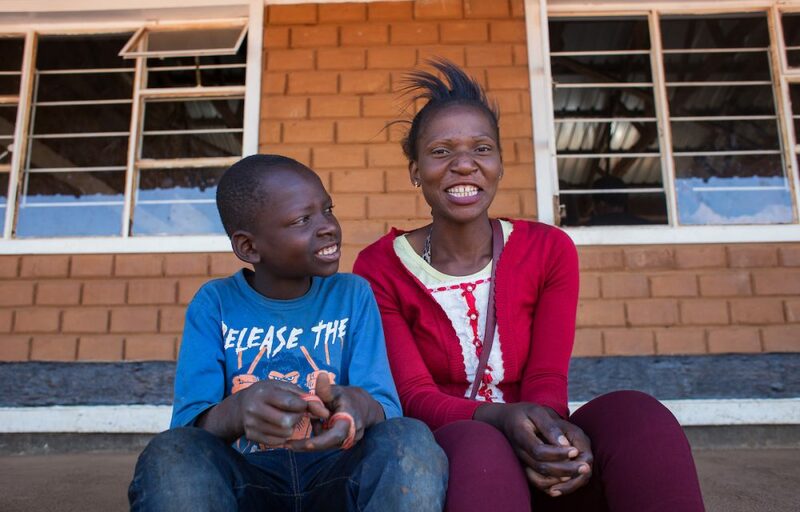 With her new skills, Fridah is now able to support her family including her son Justin. “I had to leave school early because my parents couldn’t afford the fees,” said Fridah. “This meant that my job options were few, so when I heard about the building training it was too good to pass up. Justin is able to study Maths, his favourite subject, in one of the three large classrooms at the school.